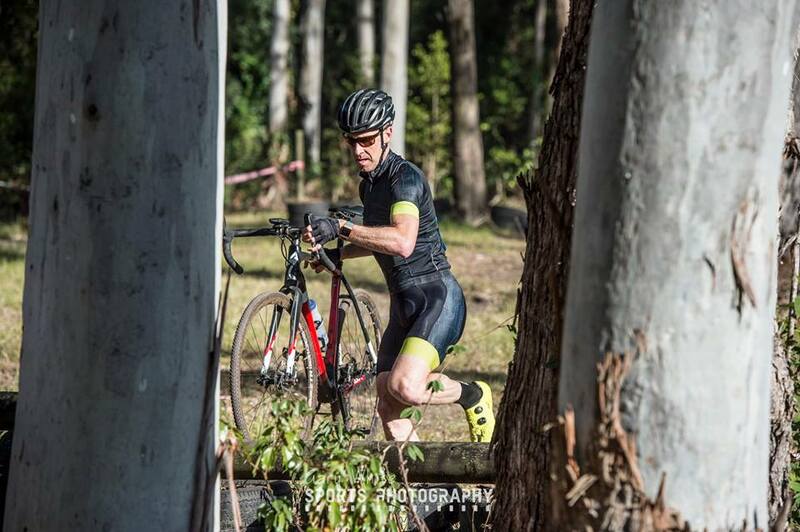 The Convict 100 is one of the longest running and most challenging mountain bike marathon races on the calendar – this year it was held on 5 May 2018. 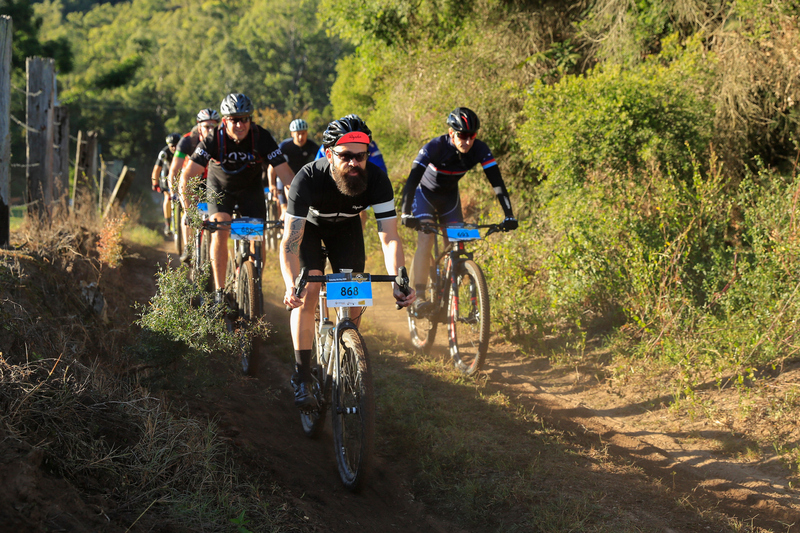 This event has been able to survive a declining number of events and still attracts people to the event each year, many of these people are new to mountain bike racing. While numbers where down on previous years, there was a great buzz in the historic town of St Albans – which becomes the Race Centre for this event every year. The event offers a number of distances – 44 km, 68 km and 100 km. 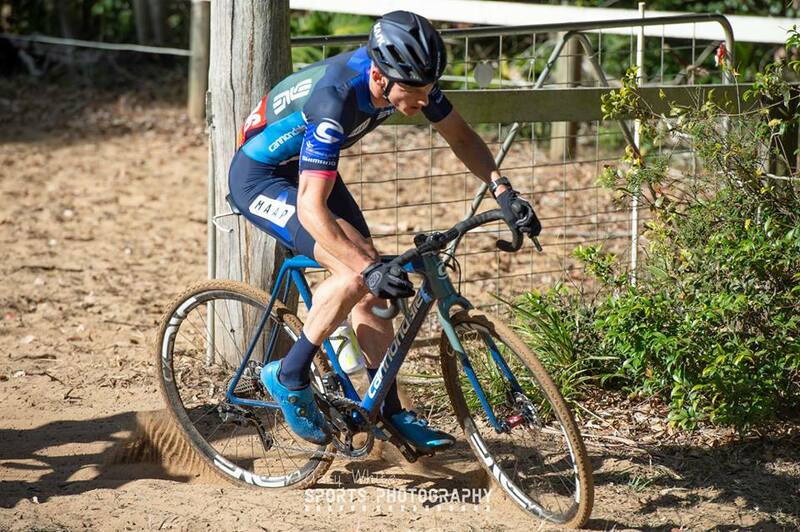 Admittedly a gravel bike is probably not the preferred bike of choice for this event, however I decided to enter the Cyclo-cross category for the 68 km event with my bike of choice being my Curve GXR aka Kevin. The highlights for me on this day where the first 5 km of the event – I was in the top 20 of the field until we went off road! Nevermind. The other highlight was the final 10 km. 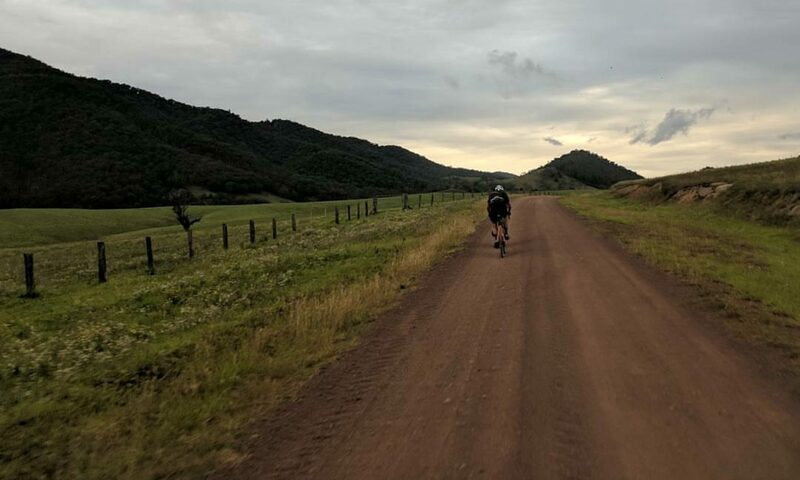 This was a gravel section where I settled into the drops and held a strong pace until the finish – there was satisfaction passing many riders as I rode into the finish shoot. With the final highlight being finishing on the podium. Overall result was 77 over the line out of 358 (3:45 mins) – finishing in the top 21 % of the field. The Convict 100 runs through the convict trail that connects Sydney to the Central Coast and Hunter. The terrain is mainly rocky sandstone, fairly technical in nature and is usually best ridden on a bike with suspension. I chose to run a set of Curve 650b carbon wheels for the race – a great choice considering the lack of suspension. The WTB Nano’s where flawless – set up tubeless I managed to avoid any major mechanical issues. 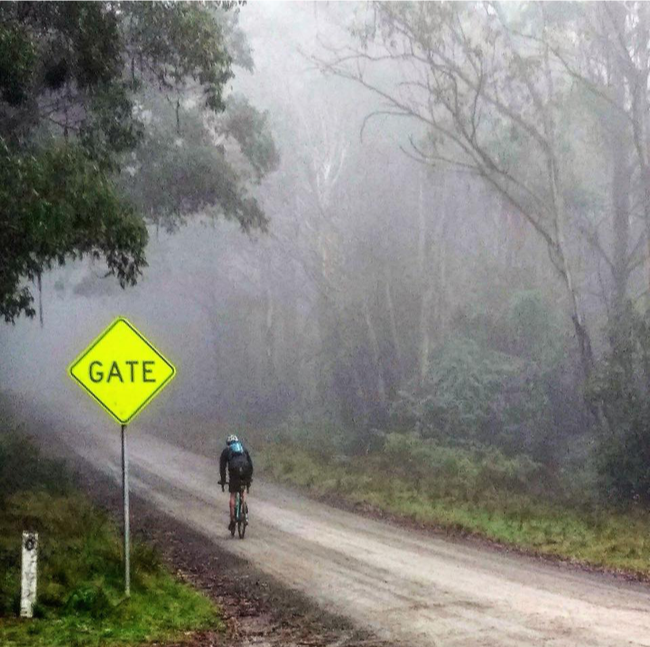 This event features some great gravel segments. This descent was awesome. I managed to negotiate the next corner – only just – as I had to unclip, dab my foot to take off some speed so I didn’t end up riding down the embankment! Thank you to Maximum Adventure for running this event and keeping the people interested in racing Marathon MTB races. The photos featured in this story where taken by Outer Image Collective. And finally thank you to Curve Cycling for making rad bikes to go exploring on – the Curve GXR aka Kevin loved the event. Looking forward to racing again soon. I’d seen the photos and heard the reports from last year. Thunderbolts Adventure was a ride not to be missed again and I had it firmly in the “A” column for 2018. Little did I know that just 2 weeks out I’d be called up to “run” the damn thing. 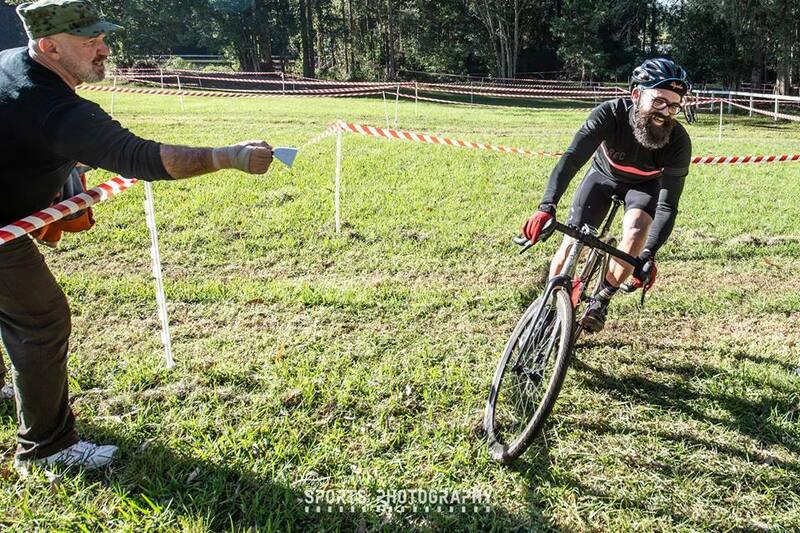 All jokes aside, I was stoked to be invited by co-founder of Graveleur, James “Ned Kelly” Wilson, to fly the flag for Graveleur and just be there to see the ride got off to a great start. Still, after a few handshakes and a quick whip around of names and ensuring all were ready for a REALLY BIG SELF SUPPORTED (#ItsYourRide) ride, we rolled out and I figured the least I could do was sit on the front in the wind for a while to make up for my disorganised self. After a few k’s, the conversations in the bunch took on a friendly note as we marvelled at the mist lifting out of the valley. The rain had abated for now and we were treated to a glorious sunrise start to the day. We stuck together for the first few hours holding a nice tempo and everyone was revelling in the crisp clear country air, giggling at the few weir crossings at who could get across without getting their feet wet…..yeah no one! Before long we hit the first climb and this would the time when the bunch splintered as people were content to set their own pace up the mountain. Cam headed off into the distance, it wasn’t until later I learned he was a G2I Div B winner, so yeah, he can ride a bit. I kept Morgs on a short leash and that’s the way it went for most of the day, it’s always a great pleasure to find a comrade content to match your pace, chat away, admire the views together and just enjoy the sheer pleasure of listening to miles and miles of gravel pass under rotating rubber. As we climbed further, the weather turned from mild Autumn to something resembling pretty dismal winter’s days, cold and wet, but nowhere near enough to dampen our enthusiasm. The other “interesting” fact about the climb was I found I had nowhere near enough gears. My 1st gear was a quad crushing 32rx42f, and Morgs wasn’t much better equipped so we learned to grind….and grind and grind. Did someone mention this was a steep climb? Putting it simply there are 2 REALLY big climbs on this ride and on the second climb there was a fair bit of letter posting going on as I weaved my way up one pedal stroke at a time. Michael (and partner) plus Andy were close to the summit with water, bananas and sweets which was very welcome. Adam also provided great support from his motorbike and had his own adventure to tell at the finish! The climb continued a little further on with more cold mist, but then like magic as we passed through the Polblue Trail gate, it was like someone flicked a switch, and we were greeted with beautiful blue skies, cotton ball clouds, warm sunshine and dusty gravel. The descent down to Moonan Flats was great fun, but the hamburgers that greeted us at the café for lunch were even better. 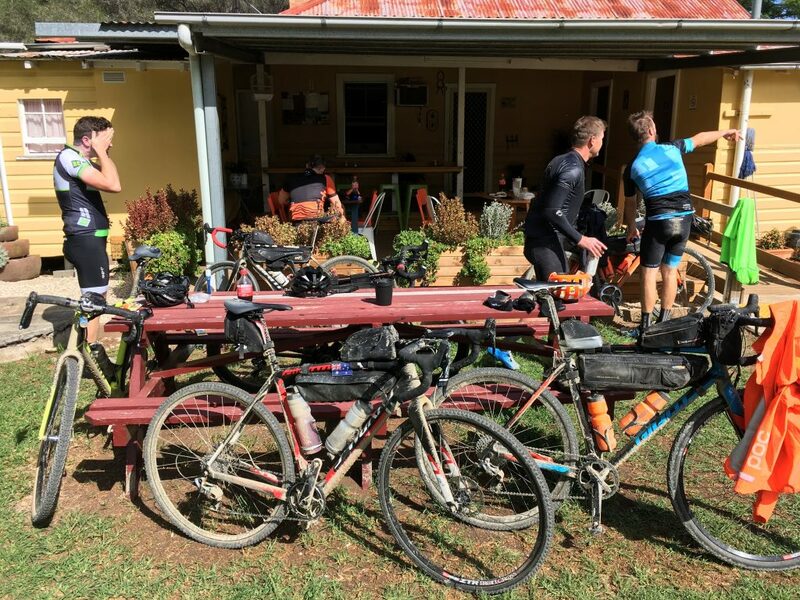 The locals welcomed us warmly and not with a little intrigue as we signed the checkpoint at the pub and carried on our journey…how far have you ridden?…..yes, I’m know you don’t like to drive that far…..sigh. We saw Cam for a few minutes before he set about putting even more time into the rest of us. Everyone else followed us into the café not long after we’d ordered so it was great to share a few stories and just enjoy the fellowship of the ride. Fuelled up, Morgs and I set out for the second climb. The profile appeared to go straight up and I was seriously worried about how I’d ever ride up it, but thankfully, the profile on the Garmin was not accurate and for the most part the climb was manageable in the saddle. 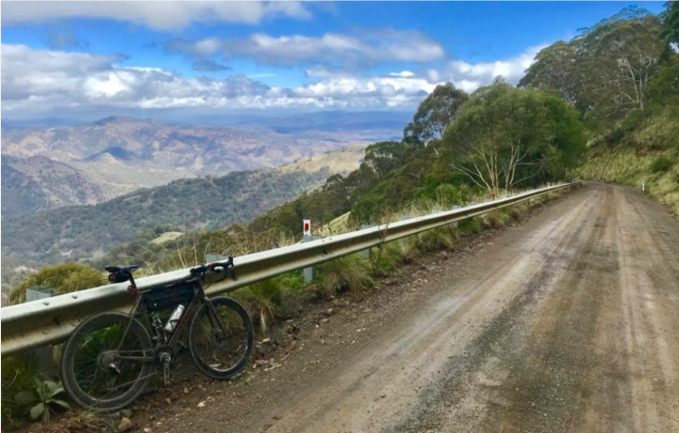 The second passage along the ridge top of the Barrington’s was really the most stunning country you can imagine, with lush green pastures, green grey ghost gums and countless flocks of rosellas and other birdlife dazzling before our eyes on smooth gravel roads. The next descent was pretty rocky and I ended up getting a little tear in the side wall of the rear tyre. Thankfully Morgs pulled out his trusty plug tool and the leak was patched in no time. By this stage I was starting to fade a little, so I bid farewell to Morgs as he powered on and I took a little time to get some more food in. Even though the last 40km are nett downhill, there are a bunch of tough little bergs to get over so at this point it was just a matter of keep moving and don’t look back. One final rain shower passed over just before sunset, but the rainbow view was well worth it. My final challenge as the light began to fade was whether I’d have enough battery left in my lights, ummm ok so chalk up another lesson learnt for the day. I hadn’t counted on needing them at this end of the ride so once again I was reminded of the importance of thorough preparation before a ride like this and having a backup plan. Thankfully the route stuck to mostly quiet dirt backroads into Gloucester and I was thankful for the full moon lighting the track well enough. Yes, the iPhone torch did come in handy too. Upon reaching the finish at the Roundabout Pub, I found Cam had already showered and cleaned up. Morgs hadn’t got in long before me and set me up with some much-needed replacement carbohydrates in the form of an amber fluid. Perfect! Thanks to everyone who came out for what was truly an epic day on the bike, and especially to those who supported us in their motorised vehicles. It’s sometimes hard to explain everything you experience from spending 12 hours perched upon a bicycle saddle but it’s a day that I won’t easily forget. And for all the right reasons. 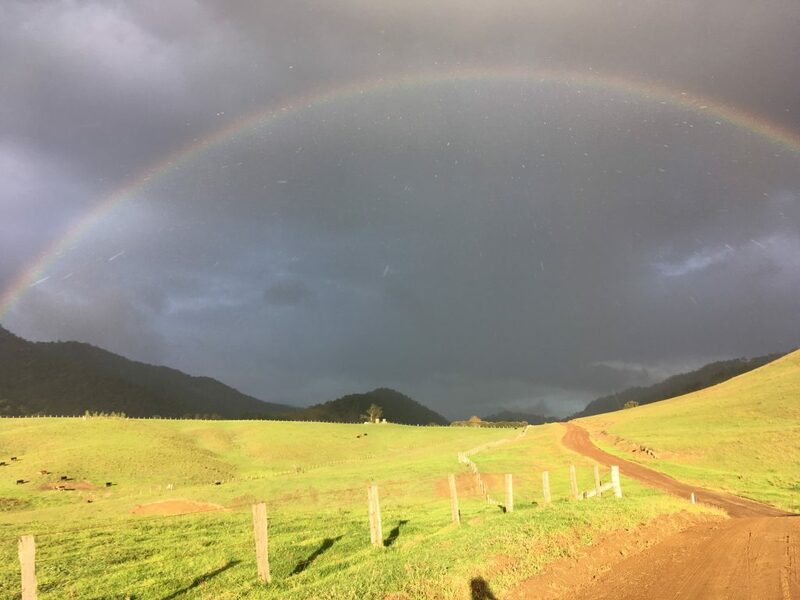 Its also worth reflecting on the fact that at the end of the day, all were present and accounted for and each rider had a story to tell of adventure, fun and perhaps just a little adversity that required some effort to overcome. 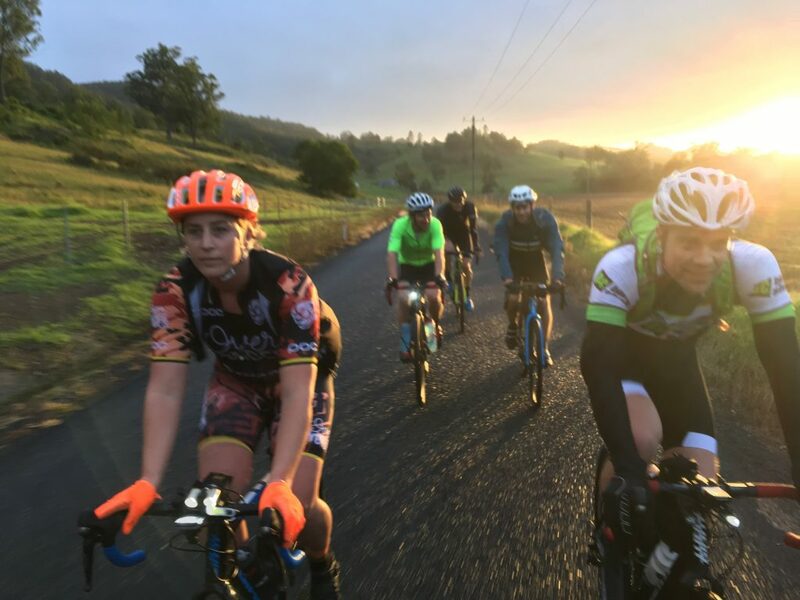 We are about gravel riding for everyone and we hope to see many more of you join us in 2019.